Last weekend, I received three vintage magazines in the mail from my favorite seller: two US Vogue (February 1993 and April 1993) and an issue of American Photo March/April 1994. 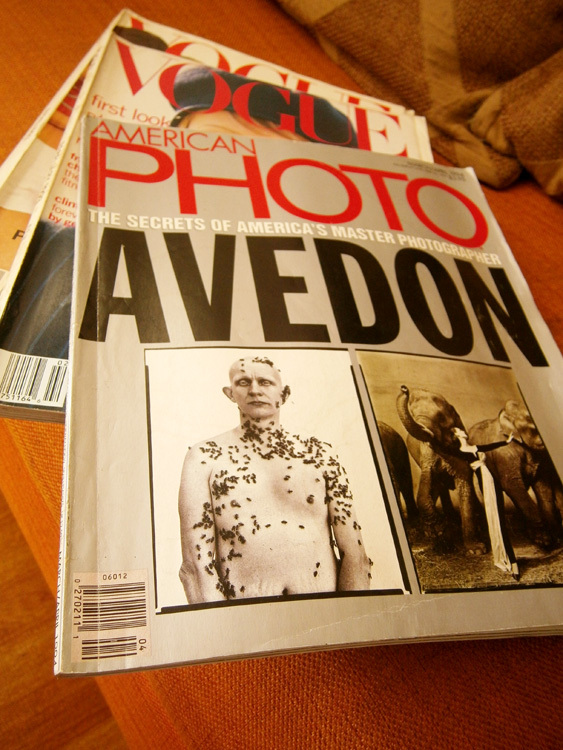 The third is a special one because it was dedicated to the great Avedon. A whole issue dedicated to Richard Avedon: see the Diva (i.e. Dovima with the Elephants) wearing YSL for Christian Dior to the right? It is one of the top twenty most expensive photographs in history. I can’t even remember when was the first time I’ve heard of his name, but I have a memory of his images from decades past. When I first searched for Twiggy, Penelope Tree and Veruschka online, I found out much later on that most of their dreamy photographs were taken by Avedon. Twiggy’s headshot with those insanely long lashes, Penelope Tree with the black Halston dress with that ornate metal neck detail, and Veruschka in that epic Great Fur Caravan. I’ve been using a lot of canvas and nylon bags lately, and even if I hate to admit it, I’m also kind of getting over my love of heavy leather bags. 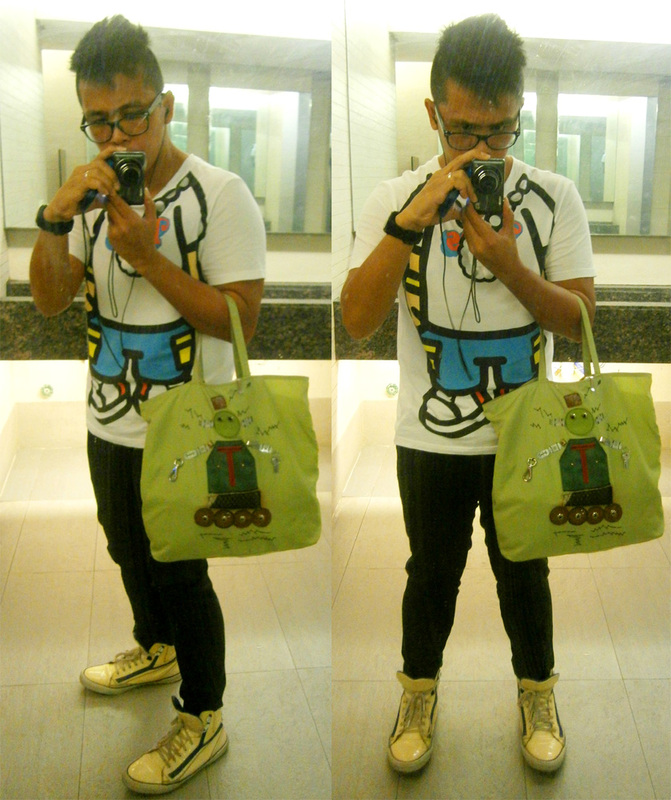 Under the summer heat, I prefer not to lug around a heavy luggage and anything non-leather makes my life easier. But in a month or so, summer will be up soon, and rainy season won’t be too kind as well. 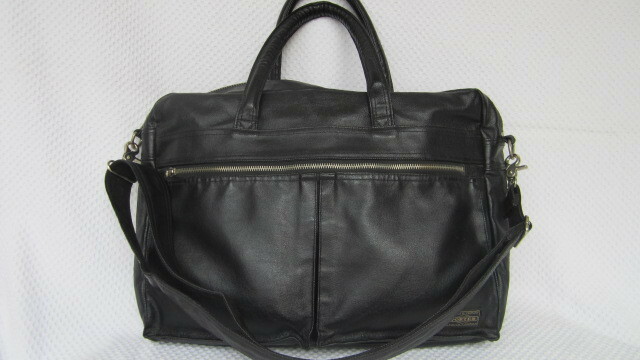 I have been looking at a functional bag on Ebay, from a brand I have never owned before. 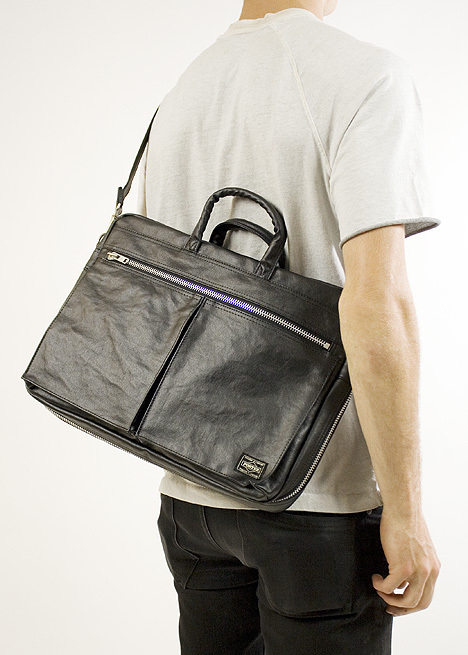 And that was when I saw this Porter by Yoshida Freestyle 2 Way briefcase bag. Technically, I’ve been seeing this bag listed on Ebay since last year, and I kept on having tentative decisions whether I should just go for it or not. The first thing that put me off was the color. It it were on a happier color (i.e. red or even blue) or anything neutral other than black (preferably camel), I would have definitely gotten it in a snap. But as I already have a lot of black bags, common sense tells me that I don’t need another bag in black. Frankly, I’ve been trying to get rid of some of my bags by selling them online, but things are not going as fast as I’ve originally hoped. I’m really determined to downsize my stuff this year, given that I will be working in another sector where I need more discreet and less recognizable items to use. This Porter by Yoshida bag perfectly fits the bill. Discreet – check, functional – check, weatherproof – check; so what am I waiting for? The seller.